Have a special someone in mind that you think is just TEAriffic but you are stuck for Valentine’s gift inspo? Well don’t panic!!!! We have some suggestions for you to spoil your loved one.... I mean, everyone loves tea, don’t they? What better way to let someone know that ‘they’re your cup of tea’. 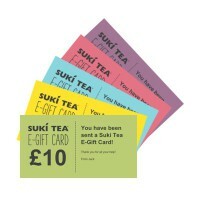 We're feeling the love at Suki HQ, so we're giving you Free UK delivery on all orders over £10 this weekend... 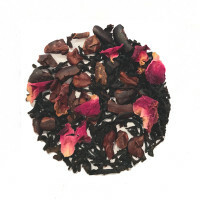 Simply enter the discount code LOVETEA at the checkout! Code ends midnight Sunday 10th Feb. 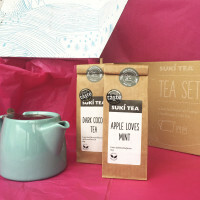 Tea really is the perfect way someones heart this year so use Valentine’s Day as an excuse to treat those special people in your life, our range of tea gifts will help you show just how much you care, take time out and enjoy a cuppa with them. They'll be head over heels after one sip! With all this love in the air, we thought we would give you Free UK delivery on all orders over £10. Order between 8th and 10th Feb to get this offer. 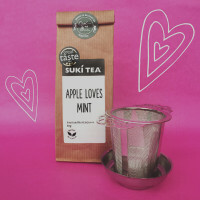 Tea for my Valentine One bag of our best selling Apple Loves Mint and a handy no fuss infuser - it will be Love at first sip with this cuppa! 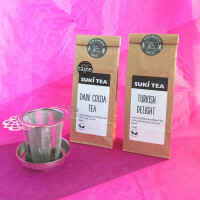 Valentine's Treat One bag of our brand new Turkish Delight Tea, plus a bag of our old favourite Dark Cocoa Tea and a handy no fuss infuser. 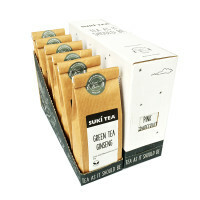 Valentines Gift set Sure to make you very popular with any tea lover this Valentine's Day... trust us on this one! The tea pot is the ideal size for tea for two. 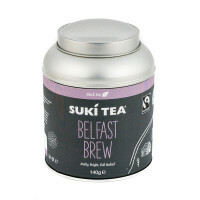 Belfast Brew Tea Caddy The classic brew loved by all! In a pretty tea caddy they can keep forever! 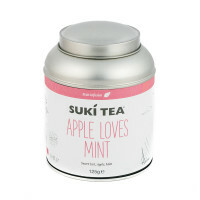 Apple loves mint Tea Caddy This tea resembles 'jewels' the perfect tea for the love of your life, the apple of your eye! 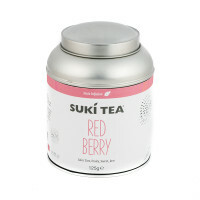 Red Berry Tea Caddy Hibiscus, rosehip, apple, elderberries, blackberries, strawberry and raspberry. A great choice for a fruit tea lover! Keep Cups Why not treat yourselves to one each! 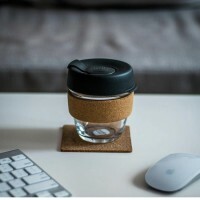 The ideal way to take your tea or coffee along with you on adventures. You can go for medium or small. Pssst, they're reduced! Forget the traditional chocolate and flowers and say it with our most loved teas! 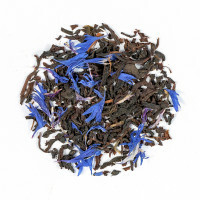 Earl Grey Blue Flower- We all know that nothing beats pretty petals on Valentines Day, give them flowers in an unconventional way. Pink Grapefruit- Sweet and zesty! Complete with gorgeous hibiscus flowers and blue cornflower petals. 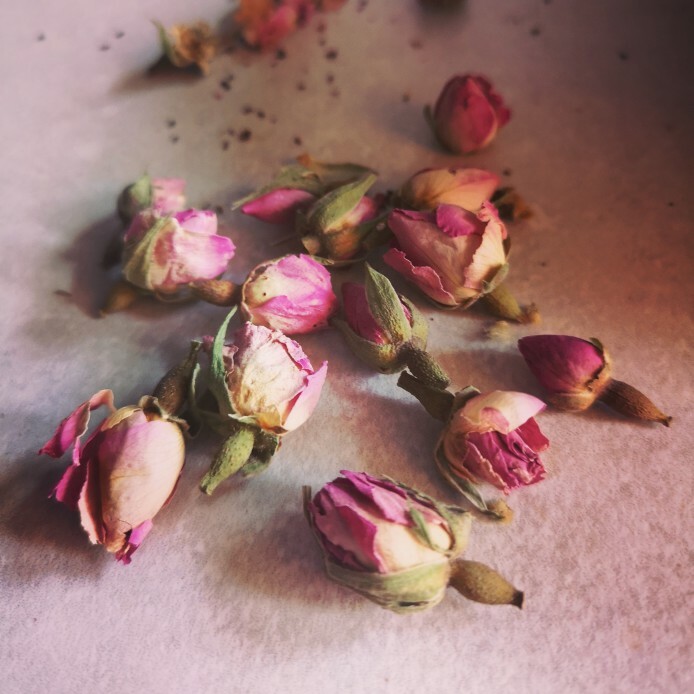 Turkish Delight- The taste of chocolate complete with romantic rose buds. 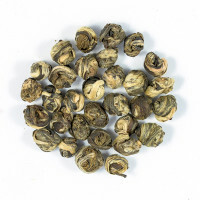 Jasmine Dragon Pearls- An enchanting tea and who doesn't love pearls? Watch as the leaves unfurl in the hot water, a truly magical experience. 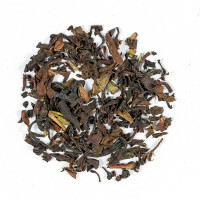 Darjeeling- known as the 'champagne of tea'. Celebrate your love with a fancy tea. 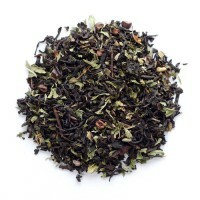 Mint Choc Chai- Valentine's Day would not be complete without a chocolate inspired tea! Ditch the cliché boxes of chocolates this year and go for chocolate tea instead... Seriously rich, dark cocoa beans and fresh peppermint leaf, perfection! Loose Favourites- Still can't choose? 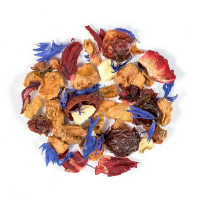 How about a collection of our 6 favourite loose leaf teas to really spoil your favourite person. 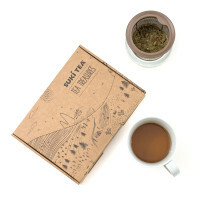 Tea Subscription- Give them a treat every month! The gift that keeps on giving. E-gift card- Really, really stuck? Let them choose their own! Why not have a surprise tea party pic-nic with that special someone? Just fill two travel mugs with your favourite tea. Fill a pic-nic basket with tea-infused treats like Mint Choc Chai Truffles , Earl Grey Hot Cross Buns, Matcha Pancakes, and Irish Tea Loaf.